Before you can be approved to adopt an animal from Noah's Arks Rescue you will need to fill out the Adoption Application below. 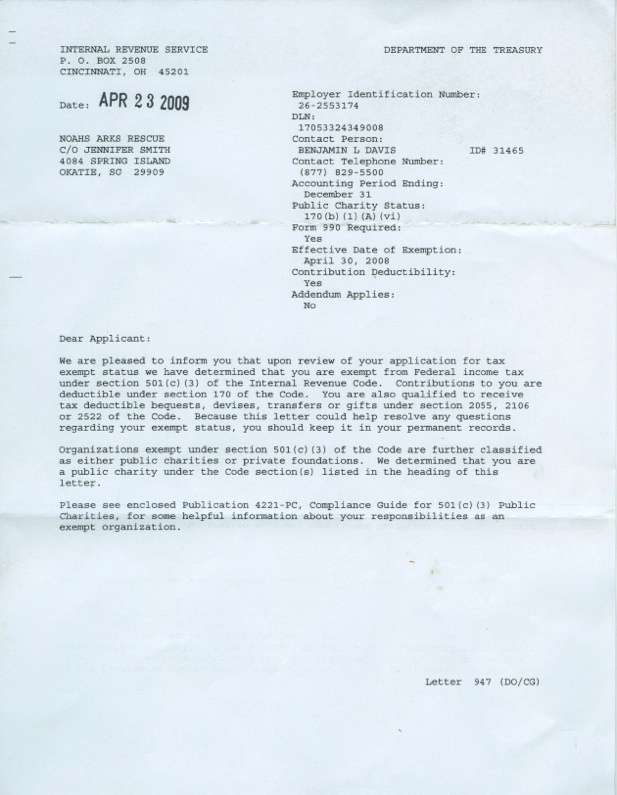 The application is a PDF file you will need to print and scan the application back to us via e-mail. Please, let us know you are interested in a particular animal before sending in the application to make sure the animal is still available. You can call us at 843-540-6755 or e-mail our Adoption Coordinator at [email protected] You can also fax us the Application to 844-540-6755. Once we receive the application, we will then begin the process of evaluating all the information we have gathered from your references, home visit, etc. We will then contact you to discuss our findings and let you know if you have been approved to adopt one of our special animals. Filling out the contract does not guarantee you an animal. It gives us the information we need to determine the best possible candidate. After you have been approved, you will then need to fill out the Adoption Contract below and either fax, mail or e-mail the contract to us along with you donation. No animals will be released to any potential adopters until we have received all of the required information and the donation. Please, do not forget to copy or scan your DRIVERS LICENSE on the ADOPTION CONTRACT. The contract will not be complete until we have that information. Thank-you for considering adopting one of our animals.